Promotional poster for Being There. The 1979 film “Being There,” directed by Hal Ashby from the acclaimed novel by Jerzy Kosinski, was a light-hearted comic observation of politics and celebrity in America. Set in and around Washington, D.C., this Oscar gem is a time capsule of some Capital locales that might not be readily recognizable 27 years after they were filmed. “Being There” is the story of Chance the gardener, skillfully played by veteran comic actor Peter Sellers. Chance is a simple man living under the care of a rich recluse in the suburbs of D.C. All he knows about the world is from the garden he meticulously tends and the television he habitually watches. When his rich benefactor dies, Chance is out of a job and put out on the street. Chance leaves the house dressed all dapper in clothes he took from his benefactor, carrying an umbrella and a satchel. He takes to the streets, and we get our first real shots of Washington. Having never been exposed to the outside world, Chance is amazed and confused by everything he sees. 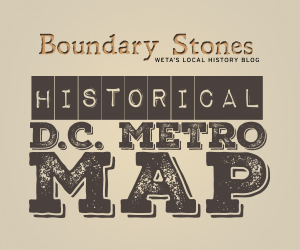 This includes run down homes along M Street Northwest, storefronts along Rhode Island Avenue and K Street Northwest, and the National Mall. Of particular note is Chance’s trip past the White House. At the time of the film, there was still automobile traffic along E Street NW on the south side of the White House grounds. In fact, the streets immediately adjacent to the White House buzzed with traffic most days. The streets were restricted to automobile traffic after the 1995 Oklahoma City bombing, and they were permanently closed after the terrorist attacks of September 11, 2001. Chance gets hit by a car that happens to be owned by another rich old man. He is taken in by the family for convalescence, and is subsequently mistaken for Chauncey Gardiner, a wise, successful businessman. The whole case of mistaken identity is based on the fact that Chance is dressed in his old boss’s clothes and that his simple-minded musings are interpreted as wise pronouncements. “Spring is the time for planting” and “In a garden, growth has its season” are taken as profound statements of economic wisdom that catapult Chance into the inner circle of international businessmen and even draws the attention of the President of the United States. In the film, the mansion that Chance’s new benefactor inhabits is supposedly just outside of the District, but it is really the Biltmore House in North Carolina. Other sites and interiors were actually in Los Angeles or built on soundstages in Hollywood. Sellers wanted to star in a film adaptation of Kosinski’s novel since its publication in 1971. He believed he was ideal for the role of the naïve sheltered main character. He engaged in a campaign for several years to get the film made, but his career was at a low point in the early 1970s, and he could not generate studio interest. It wasn’t until director Hal Ashby came on board that the project gained traction. Ashby was the acclaimed director of “Harold and Maude,” “The Last Detail,” and “Coming Home.” Sellers was so dedicated to the role that he refused to speak with the media and isolated himself from other actors on the set. The final film did well at the box office and was roundly respected by critics. At the 52nd Academy Awards, Sellers was nominated for Best Actor. Melvyn Douglas won for Best Supporting Actor. Sellers was angry at not winning the Oscar and blamed Ashby, though he did win a Golden Globe. Kosinski also received industry recognition for co-writing the screenplay. ^ Nick Dawson, “Being Hal Ashby: Life of a Hollywood Rebel,” University Press of Kentucky, 2009, p. 211. In the movies and in real life, Washington, D.C. had a serious housing shortage during World War II. Today, Wolf Trap is a cultural hub of the DC area but opposition from Maryland congressmen almost shut down the project before it started.